Grammatical structures provide different options for speaking about the third person. Featuring the attributes of either a person or a thing, this rather undefined figure always establishes a distance to the first person of „me“. Between the positions of the first and the third person, the group show is setting up a space that relates to private interiors, shopping windows and museums displays. In photography, installation and performance, the participating artists and designers deal with influences of modernity and its industrial production, as well as with contemporary design and relations to found materials or the given spaces. 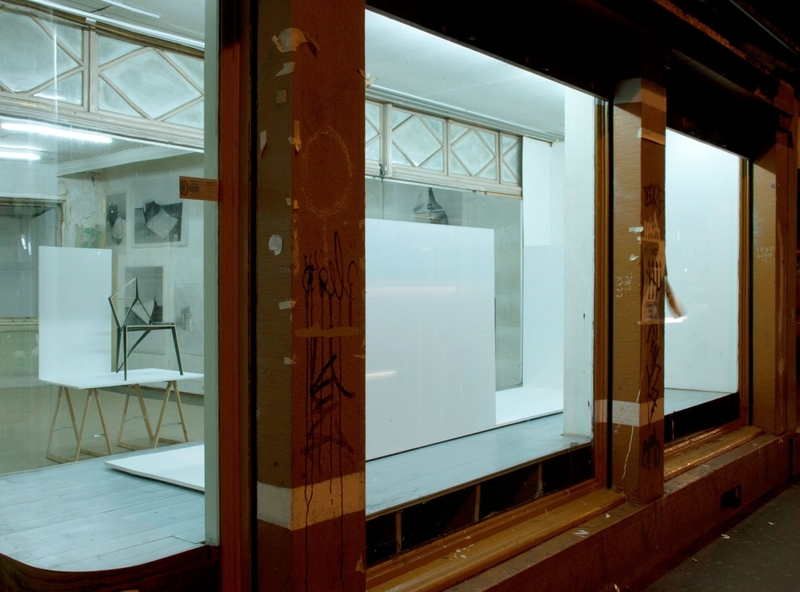 Stéphane Barbier Bouvet and David Heitz are reflecting upon the given situation at the art space Corner College (a former textile shop) and the display of the group show with found furniture fragments and additional sculptural elements. In opposition to the common understanding of design in terms of efficient mass production, Clemence Seilles integrates the methods of craft into her design process. Jochen Weber links contemporary design and Minimal Art with display architecture and furniture-like objects. Thus his work combines a time-consuming sculptural process and sophisticated plastic surfaces recalling a technical look that we know from contemporary interior design. Kueng/Caputo use found objects as props for staged photographs. By doing so, the collective introduces a critical commentary on media images and exhibitions of design as well as on the traditional understanding of this discipline: to provide solutions for certain purposes. Kai Linke transforms the most popular chair today — the Monobloc — into a visual device that offers very limited seating features. Linke indicates the ambivalent role of the Monobloc as an object of poor taste on the one hand and as very successful cheap piece of furniture on the other hand. Xabier Salaberria takes furniture classics from the pre- and postwar era as a point of departure for his work. His architectural structures for exhibitions recall furniture used for public spaces as well as for media devices at home. Salaberrias work relates to the contradictions of functionalism and social utopia in the recent history of design, architecture and art. 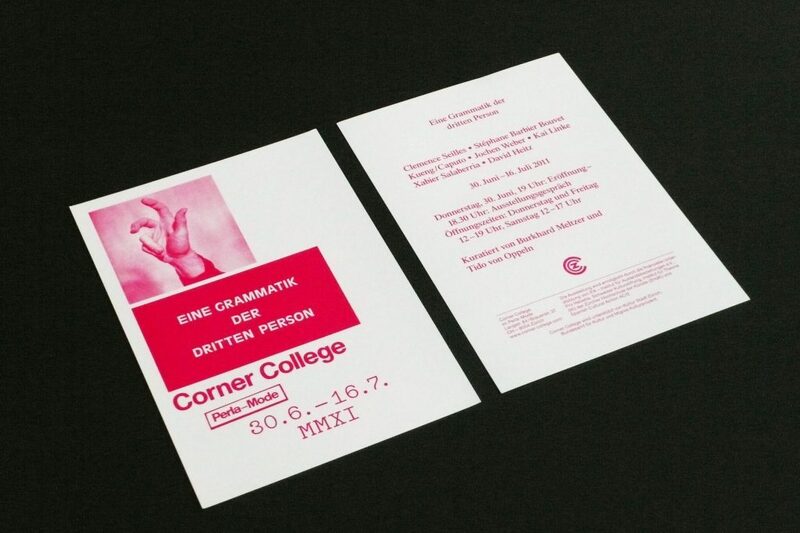 Corner College presents the group exhibition A Grammar of the Third Person also as an outcome of the long-term research project by the curators at the Institute for Critical Theory of the Zurich University of the Arts since 2009.